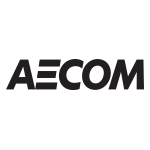 AECOM's energy and construction business will continue to help the U.S. Army Corps of Engineers rehabilitate the LaGrange Lock and Dam complex in Illinois under a two-year, $63M contract modification. Work is scheduled for completion on July 27, 2021, and includes lock chamber protection, dewatering, surveying and demolition services, the Department of Defense said Friday. In addition, the company will remove and replace the complex' horizontal concrete and provide temporary facilities as part of the modification awarded under a potential $117.3M initial contract in November. USACE obligated $24.7M in fiscal 2019 Army operations and maintenance funds on the latest award.